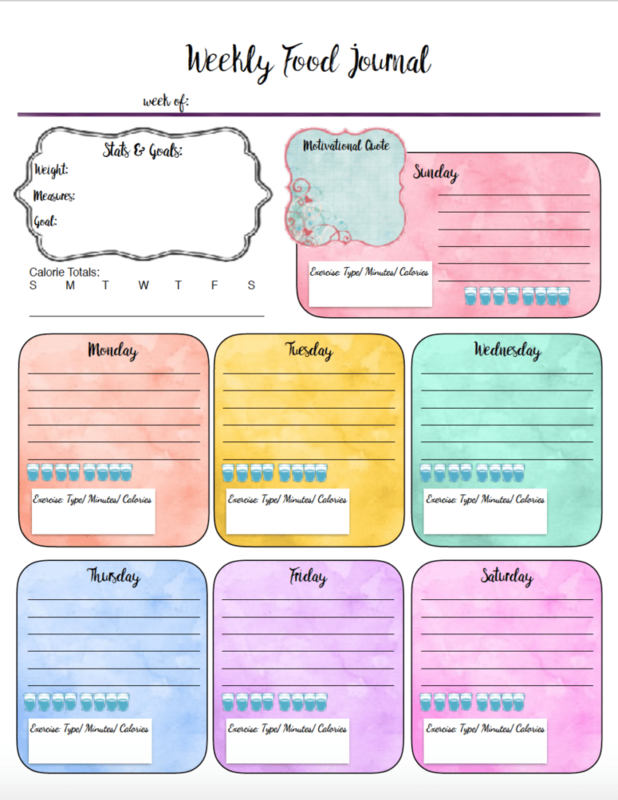 Free Printable Food Journal: 6 different designs! 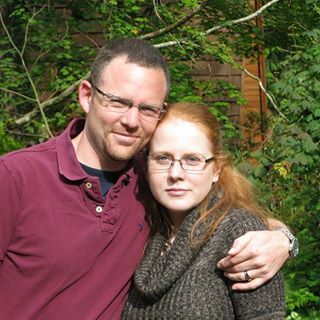 I’ve struggled with my weight my entire life. Well, since 7th grade. Looking at a calendar, that means I’ve been worried about my weight for over 2 decades. It sounds depressing when you put it like that. Only recently, I had a mind-set switch. I’m worried about getting healthy. Not necessarily what the image in the mirror looks like. Maybe it’s getting older. Or wiser. Or just more tired. But whether your concern is health or image, food tracking is vital. 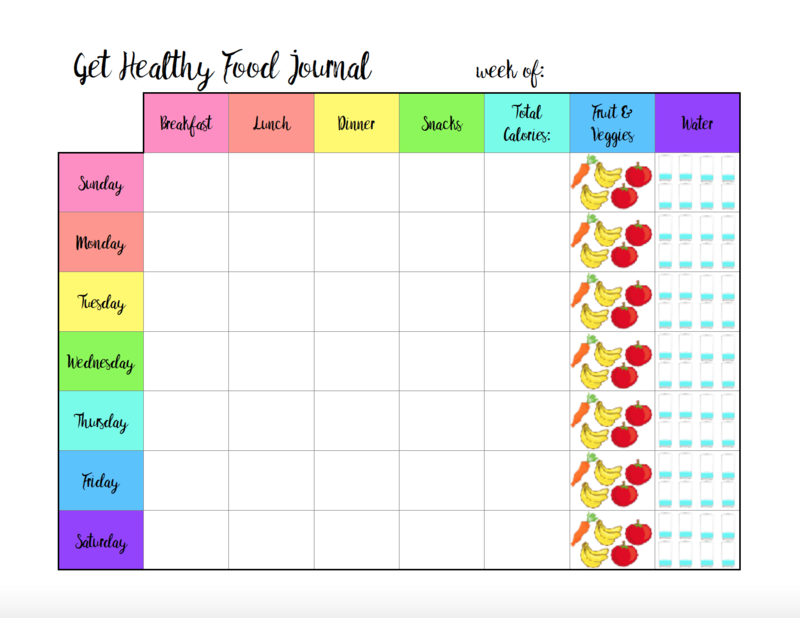 There are a lot of different reasons to use a food journal. Weight loss is one. 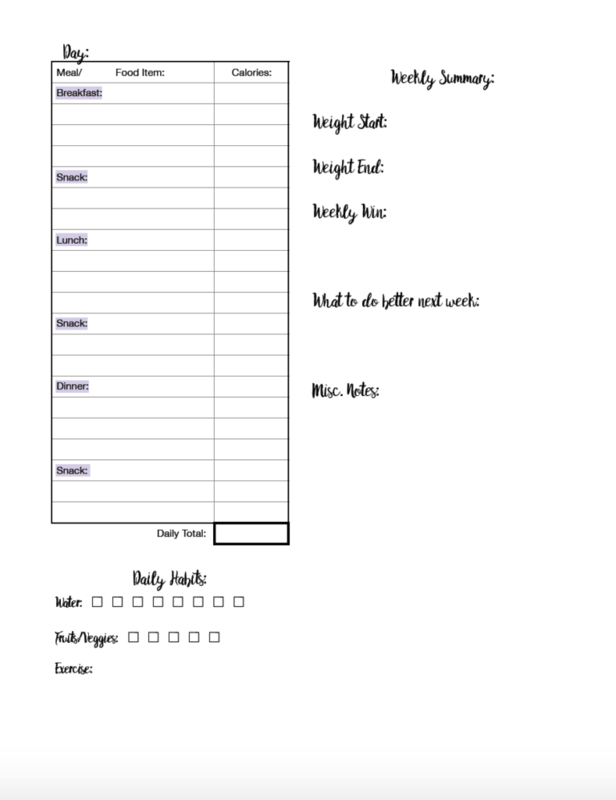 Did you know one of the biggest factors when it comes to losing weight is tracking what you eat? Yep. Just tracking causes you to be more aware and naturally eat less. 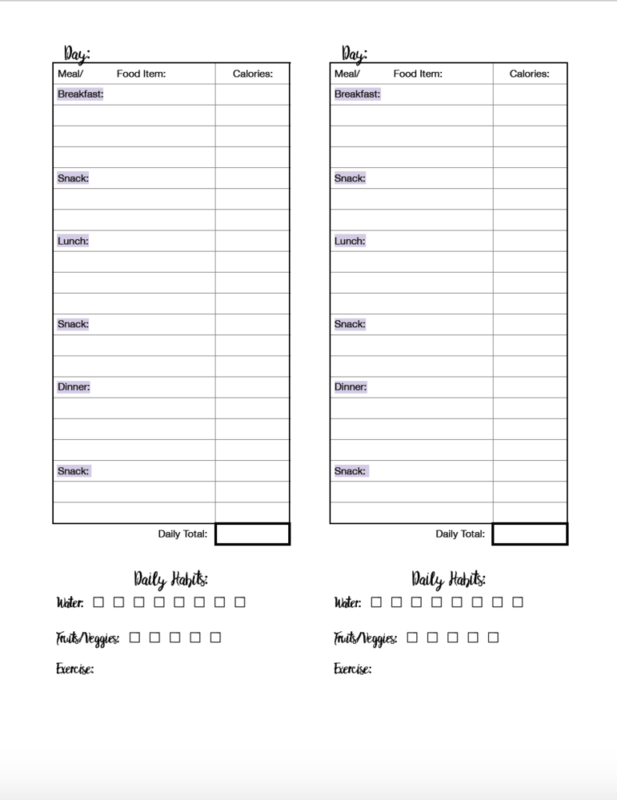 Another reason for a food diary is keeping track of water intake. Water intake is vital to not only weight loss, but to general health. For those with specific health concerns, tracking food is even more important. 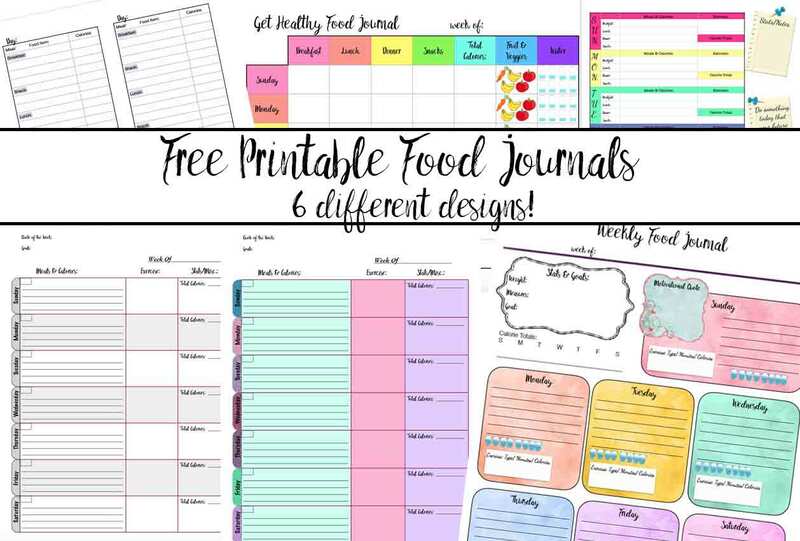 I have SIX different food journals below! They come in horizontal and vertical. I have one that spans multiple pages in case you need more room for notes. I also have a grayscale one if you’re trying to save on the printer ink. 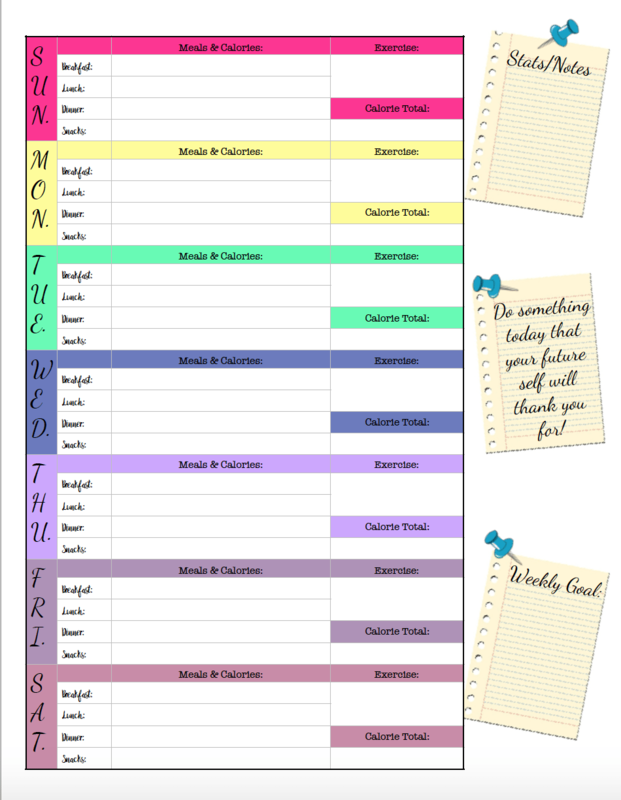 Some include spots for stats, motivational quotes, and more. And if you’re looking for something in particular, let me know. I’ll see what I can do! 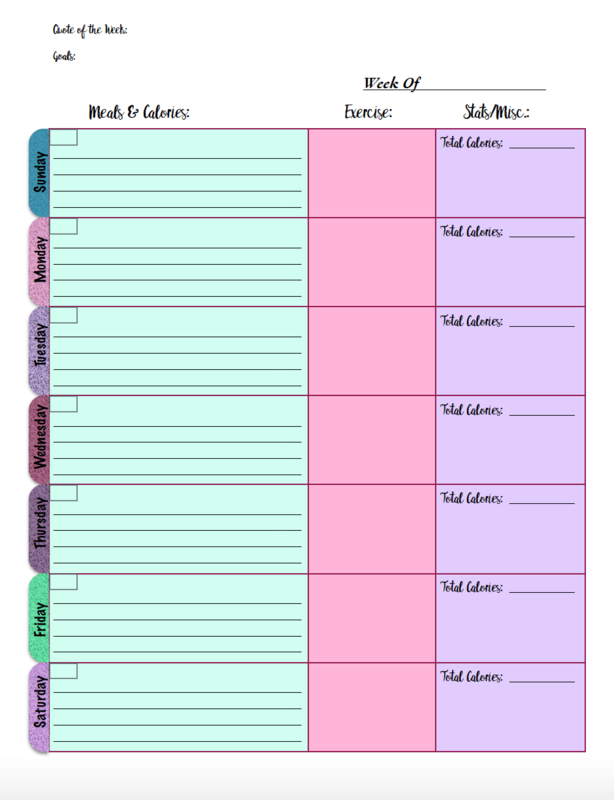 Some of my most popular printables have been reader requests. 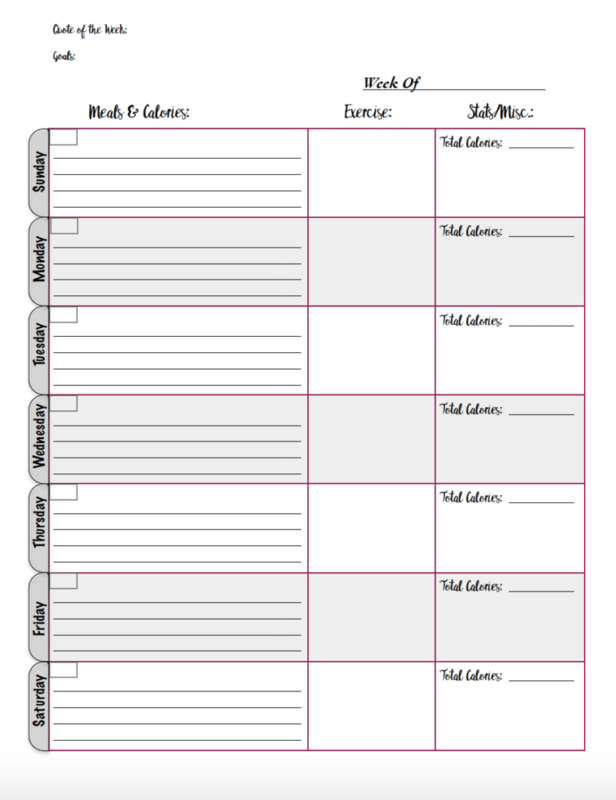 • Print options: regular paper works just fine, especially as you’ll be printing weekly! You can use card stock if you’re constantly moving it, though, or looking for something more durable. The same as the journal above, except in mostly black and white. If you only have a black/white printer, this journal will work. The pink heavy line will simply print as a heavier black. I hope you found something helpful above! As I said, if you need something in particular and didn’t see it, let me know. I might create it in the future just for you. So join me today. Embrace health.